I sent out a survey to the American School in Japan high school students about their eating habits and their knowledge about the Slow Food Movement. From this data, it can be observed that many students from grade 9 to 12 in ASIJ don’t usually eat instant foods/fast foods and don’t know about the Slow Food Movement. 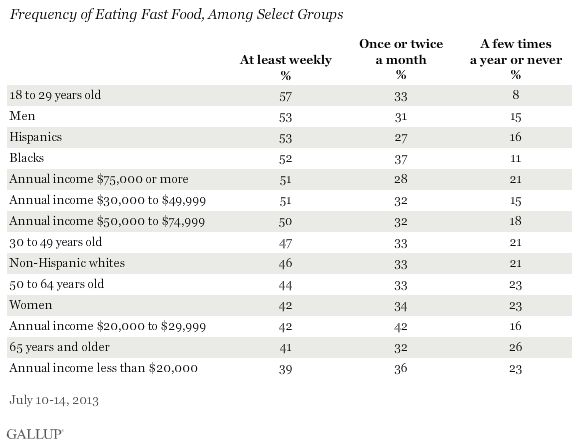 How many times a month do you go to fast food restaurants? How long do you usually take to eat one meal? Did you know about the Slow Food Movement? Many people eating fast food weekly shows that depending on the environment, your eating habit will change.